Keep It Simple and Fast: SQL Profiler is on my second screen, but my second screen is not connected. SQL Profiler is on my second screen, but my second screen is not connected. I use a lot of time multiple screens on my laptop. With SQL Profiler this can give some challenges. I will explain in which situation. Connect an extra monitor to your laptop. Extend this screen as the second screen. Start SQL Profiler and move it to the second screen. Close SQL profiler on the second screen. In the taskbar you can see that SQL profiler is active however you do not see SQL Profiler. It is still open on your not connected screen. This is a bug in SQL Profiler which does not reset the window position. What should you do to make use of the SQL Profiler if you do not have a second screen available. Click on the SQL Profiler window in the taskbar. Press ALT ENTER to get the propertie window of the SQL Profiler. Use you arrow keys to move the invisible window back to your screen. 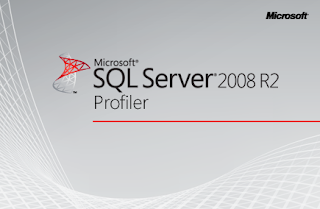 Enjoy the use of SQL Profiler. Andre, Thank you very much for this solution, it was frustrating for me when i am trying to open profiler from home where i don't have second monitor. You saved me. Thank you agian. Thanks for this great tip, however it didn't work for me. I tried the tip I got from TechNet website which is..."Click the icon in the taskbar to ensure that the program has focus. Then hold down the Windows key and press the right-arrow a few times". Wow this works!! thank you very much for sharing this solution! !